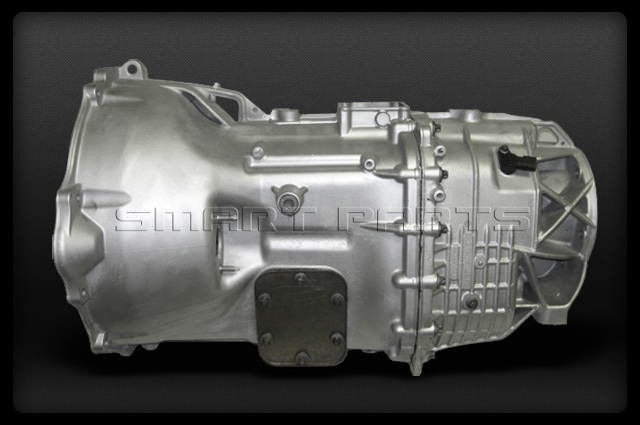 Our Mercedes Benz G56 transmission was introduced in 2005 for use in Dodge Ram 2500 and 3500 series pickup trucks. The G56 six speed manual transmission replaced the NV5600, with higher power input it is capable of handling over 600lbs of torque. 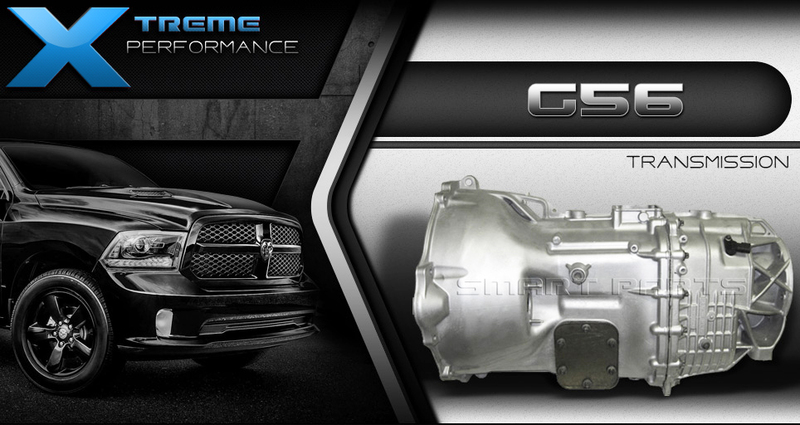 The G56 transmission is much lighter with its aluminum case where the NV5600 transmission has a cast iron case. The G56 transmission has design upgrades implemented to resolve the oil feed issues that have been a constant point of interest with its predecessors. A transmission designed by Mercedes deserves a certified team of builders that have been trained in the intricacies and precise tolerances of this German design. Our Smart Parts G56 is packed full of upgrades to make this already heavy duty transmission an even tougher work horse. How do I know if I have a NV5600 or G56 transmission? The easiest way to distinguish between these transmissions is to check the date of your truck. A Dodge Ram 6 speed with the years 2004 and below will be a 5600. 2006 and up will be the G56. 2005 is the crossover year and a quick observation of the casing can answer your question. The g56 is cast out of aluminum and the 5600 will be cast iron. In order to keep our G56 Transmission at such an unbelievably low price, we need to take a deposit on your old or broken unit being sent back to us. The core deposit is added to your total then is completely refunded when it unit arrives at our facility. Because we use so many new parts, our rebuild process doesn't require a perfect core to be sent back. Please call or click on the tab for acceptable core conditions and details.